When it comes to comic book movies for which I have an attachment to the source, I usually try to keep my expectations within reason. I make an effort to avoid spoilers while gobbling up teases, hints and speculation. Regardless of whether or not the advance promotion seems promising, I bear the scars of too many films like GREEN LANTERN and SUPERMAN RETURNS to fall prey to unfettered enthusiasm. Even if it’s a sequel to a movie I enjoyed, I still gird myself for the worst (especially when it comes to tertiary installments). But with THE DARK KNIGHT RISES, my expectations were… enormous. Through the roof enormous. But let’s face it, aside from the contrarians, whose weren’t? Christopher Nolan’s first two films in his Batman trilogy were exemplary genre storytelling, the first a novel take on an oft-told tale, the second a near-perfect film that transcended its source and elevated the genre. And with this third entrant, we were promised a true anomaly in a superhero adaptation: an ending to the story. All bets were off, nobody was safe, and it was almost certain that the movie wouldn’t close with the Caped Crusader swinging off into the endless night. It didn’t. And while nobody from the pantheon died (although I feared for Commissioner Gordon and Lucius Fox at a few points), this film brings an epic, satisfying, emotional close to the story of Bruce Wayne’s mission to avenge his parents’ murder, save Gotham City and maybe even find some semblance of inner peace and happiness. If you’re asking for a qualitative review of the film on its own, THE DARK KNIGHT RISES is not as good as THE DARK KNIGHT, but better than BATMAN BEGINS. Here are a few issues: There are, as always, a few leaps of logic that would seem to be unavoidable when trying to make a realistic film about a man who dresses up like a bat and fights urban crime. Batman spends more time being beaten than he does triumphant (and recovers a little too nicely more than once). There’s a bit of a tendency for speechmaking in the place of dialogue. The technology is a tad over the top this time around (for the first time in one of these films, you kinda can imagine the Justice League existing). And the climactic nuclear bomb threat would feel stale in the hands of a lesser filmmaker. But that’s the thing: It wasn’t in the hands of a lesser filmmaker. This trilogy was in the supremely capable hands of one of the greatest directors working today, a filmmaker who fits the visionary bill to a natty T. Like Orson Welles, Alfred Hitchcock, the Coen Brothers and Quentin Tarantino, Christopher Nolan has mastered the most important aspects of being a director: Crafting a complete vision (that encompasses every aspect of the process, from story to cinematography, art direction, music, acting, editing, effects... all of it) and then successfully communicating said vision to your collaborative partners, resulting in a creative synthesis that permeates the movie. When this happens, regardless of the genre, budget or original impetus, movies can become art. “Art,” of course, is subjective, and while I’m sure I’m going to inspire some eye-rolls and sneers with this statement, The DARK KNIGHT trilogy is a work of cinematic art. I’ve now seen THE DARK KNIGHT RISES twice, and it’s one of those movies that benefits from repeated viewings, particularly if you’re someone who enters the theater with preconceptions, predictions and a heaping of emotional investment. It’s not that the story is hard to follow (Nolan and his screenwriting partners are excellent at making their stories intricate without being impenetrable). But there is a lot of story, a lot of characters and a lot of tension to be taken in all at once. It’s one fast two and three quarter hours. From the opening sequence—Bane’s carefully planned and executed escape from a CIA plane—it’s obvious that once again, this is going to be one hell of a ride. Nolan’s preference for in-camera effects over CG pays off again and again. The action is shudderingly great and there are hundreds of gorgeous shots in this movie (Batman attacking in the sewers under strobing light springs to mind), none of them superfluous or hollow (unlike Tim Burton’s penchant for staging imagery that looks great in stills, but doesn’t serve the story or the actors at all). Hans Zimmer’s score picks up where he and former collaborator James Newton Howard left off, expanding a melancholy, yet brawny and at times exhilarating musical background to the series. That the cast is amazing almost goes without saying. Would any of these films have worked as well without the supporting triumvirate of Michael Caine, Morgan Freeman and Gary Oldman? Sure, the oft-mentioned metaphor of Alfred, Lucius and Jim Gordon being Batman’s heart, brain and soul sounds cheesy when said out loud, but couldn’t be more apt. They serve to both ground and enhance Christian Bale’s alternately laid back and intense performance. And as the man who would be Robin (or Nightwing or Batman II or whatever), Joseph Gordon-Levitt displays earnestness and intelligence that make us believe Bruce would give him the keys to the Batmobile—er, the Tumbler. Regarding the most-maligned element of the series, I don’t have much to say about Bale’s bat-growling. Do I love it? No. It can be distracting. But I don’t hate it. Sure, he could’ve dialed it down just a notch, and I can see how it bothers people in the audience who aren’t as invested in the character or the story, but I’m cool with it (and it’s lots of fun to imitate). But what about Thomas Hardy’s musical lilt as Bane? Now that I loved. It seemed to me at least partly inspired by Javier Bardem’s Anton Chigurh from NO COUNTRY FOR OLD MEN (another piece of bleak yet inspiring art). 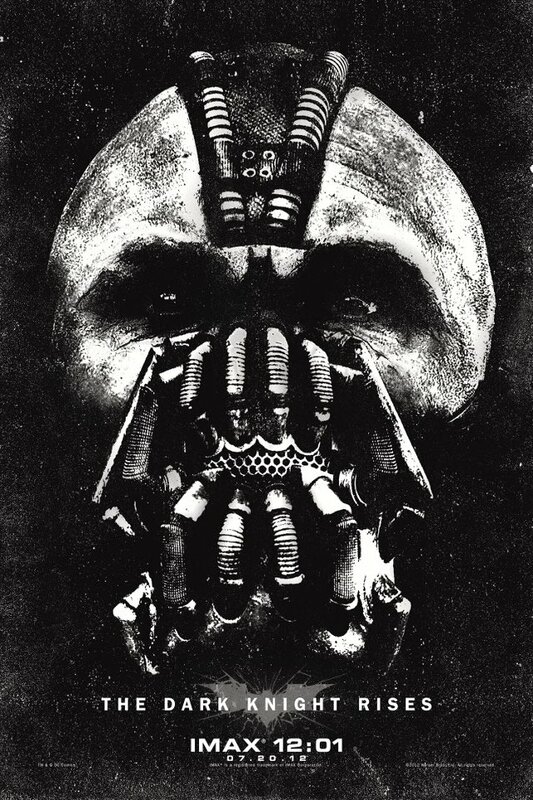 When I first heard that Bane had been selected as the primary villain for this third film, I was surprised. The comic book version of the character is decidedly over-the-top, and while I assumed that Nolan would dispatch the power-enhancing venom of the comics, cartoons and, ahem, BATMAN & ROBIN, I wondered if the character would be a threatening enough presence. Silly me. But as good an adversary as Bane is, I whooped with excitement when the true villain was revealed (even if I, and a legion of other Batnerds had already suspected it). While little known in the mainstream, Talia al Ghul has been a major part of the Batman comics since she was introduced in DETECTIVE COMICS #411 in 1971 as the alluring daughter of Ra’s al Ghul (she and Batman even have a son, Damian, who eventually became the fifth Robin). As a young fanboy in the Bronze Era, I was startled by the sensuality of the character and the obvious physical connection she had with Batman, especially as drawn by Neal Adams in some of the best Batman books of all time. Marion Cotillard’s reveal as the mastermind behind the entire plot brings everything into focus, adding depth to the film and the trilogy as a whole. While over-analytical fanboys had long suspected the true identities of the roles both Cotillard and Joseph Gordon-Levitt were playing, few predicted that Anne Hathaway would be so good as Selina Kyle (never once called the Catwoman in the film). While she perhaps over/underplays some of her more portentous lines, she is utterly believable as the smart, capable, jaded and conflicted anti-hero from the comics (and she does look good in that catsuit). Hell, for once, even the high heels make sense (even if they do—as always—vanish during some of the action scenes). Once again, Nolan and his screenwriting partners (his brother Jonathan Nolan and David S. Goyer) have done a masterful job of taking various elements from the comics and adapting them to fit the context of this series. There’s enough here to keep the fanboys happy (“I broke you!”) while bowing to the needs of moviemaking for a mainstream audience. I never in a million years would’ve thought you could incorporate both NO MAN’S LAND and KNIGHTFALL (two vast Batman tales) into a movie and make it work. And yet it does. I did feel that the shifting of Gotham from Chicago to New York (and a few other cities in some shots) was a bit jarring. I loved the usage of the Windy City (do Chicagoans hate that nickname like those of us in NYC hate “the Big Apple?” If so, let me know) in the first two films, it’s a beautiful, distinctive city that’s not been overused enough to beg disbelief (unlike New York subbing for Metropolis in the SUPERMAN movies). I kind of understand the reasoning, from a story perspective. The plot necessitates that the city be completely, physically isolated, and that can only happen on an island (which Chicago is not). But if CG technology can add some more bridges between New Jersey and Manhattan (oh, if only! ), then surely it could be employed in some manner to cut Chicago off from landlocked interference. But the transplanted Gotham is a minor irritant. My only real point of contention with THE DARK KNIGHT RISES is one of scope… Not of this film, this thing’s gargantuan (almost too much so). Rather, the issue is the breadth of the career of the Christopher Nolan Batman. It’s too short. 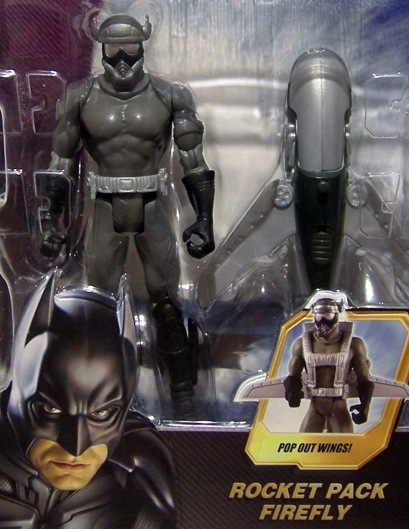 How long was this Bruce Wayne actually in service as the Batman? 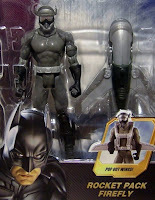 In TDKR, it’s mentioned that Batman was in action for “years.” But it’s hard to imagine it was more than two at most. In the last film, when the Joker confronts the mob bosses, he says, “Let’s wind the clocks back a year. These cops and lawyers wouldn’t dare cross any of you,” indicating that Batman’s only had a resounding impact on crime for less than twelve months. It’s reasonable to assume that TDK doesn’t pick up right after the end of BATMAN BEGINS (despite that film’s closing tease of the Joker’s calling card), but it couldn’t have been too long between the first and second film. And then, at the end of THE DARK KNIGHT, Batman disappears (or at least makes his “last reported sighting”) for eight years. So, Batman’s been gone for more than four times longer than he was fighting crime in Gotham City. Harvey Dent’s legacy is greater than Batman’s, and while I guess that was the point, it’s kind of unsatisfying for the geeks. 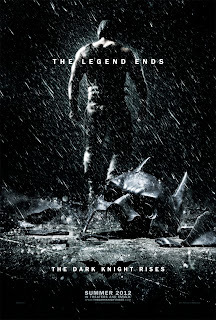 THE DARK KNIGHT RISES, epic as it is, would’ve carried more weight if there had been a fourth, perhaps less ambitious film between BATMAN BEGINS and THE DARK KNIGHT. Imagine a movie dealing with Batman’s legend growing in Gotham as he takes down street thugs, the mob and even a few C-list comic adversaries like Firefly (who actually was made into a DARK KNIGHT action figure), the serial killer Victor Zsasz (who cameoed in the first film, and reportedly remained at large at the end) or the animal-masked Terrible Trio. One of the few disappointments in the new film is the forced presence of Cillian Murphy as Jonathan Crane / Scarecrow, performing the role of sentencing judge in the lawless Gotham. Couldn’t we have tossed another villain (Black Mask, perhaps?) in that position, even if he were only recognizable to the comics cognoscenti? Granted, three films was no doubt enough for the filmmaking principals, who spent almost a solid decade in Gotham City. And I’m grateful we have those three movies. This wish for a fourth is pure fanboy fantasy (and probably isn’t an issue with moviegoers who’ve never bought a comic book). But couldn’t the scripts have at least made an attempt to expand the legend of the Batman beyond the adversaries we saw vanquished? I don’t think it would’ve taken anything away from the sacrifice Batman made at the end of THE DARK KNIGHT. It may have even enhanced it. Still, this is one of a mere handful of minor quibbles I have with this series, hands down the best superhero film franchise of all time. Maybe when TDKR comes out on video, I’ll take a full day and watch all three films, tossing in a handful of episodes of Bruce Timm’s exemplary animated series between the first and second movies to enhance the experience. And at the end, again, there will be tears. Yes, I cried! Both times! I’m not ashamed! Nolan had to go big or go home with this conclusion, and what’s bigger than recovering from being physically and emotionally broken, saving an anarchic, abandoned Gotham City from a nuclear explosion, bequeathing the Batcave to a worthy successor, and living happily ever after in Italy with the Catwoman? So, what comes next? First of all, anyone who expects Nolan, Bale or anyone from this franchise to have anything to do with Batman after this point simply hasn’t been paying attention (and any entertainment journalist who asks anyone involved should have their press privileges revoked on the spot). This was a finite story, and while some (perhaps even the actors themselves) may hope that we’d get to see an Anne Hathaway CATWOMAN spinoff or Joseph Gordon-Levitt in whatever mask his character is fated to don, it’s a safe bet that ain’t gonna happen. Besides, Warner is champing (or chomping, either works) at the bit to get rolling on the long-delayed JUSTICE LEAGUE movie, so whenever they decide to reboot Batman, you can bet it’s going to be a version of the Caped Crusader more in line with the comics. Which is actually the right way to go. 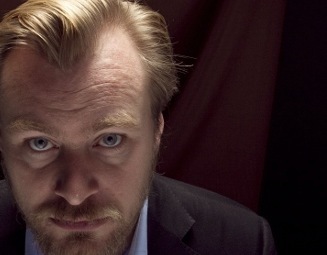 Nolan’s films were an unbelievably successful take on the character, creatively, critically and financially. To try to emulate that vision would be a fool’s errand, and even normally short-sighted movie executives surely realize this (Right?). The next Batman (and please, Warner, give us at least six years to let the dust settle over Gotham… the last thing we need is another AMAZING SPIDER-MAN) should be set in a less realistic context, and not just so we can team him up with Superman, Green Lantern and Wonder Woman. It’s not even a case of Batman’s untapped villains being too outlandish for Nolan’s world… he could’ve easily adapted Deadshot, the Penguin, the Riddler, Harley Quinn, the Ventriloquist, Hugo Strange and dozens more B-list bad guys. Heck, even Poison Ivy and Killer Croc could’ve been brought down to earth with chemical or biological explanations for their proclivities. About the only major bat-villains that would’ve seemed impossible to adapt are Man-Bat, Clayface and probably Mr. Freeze. And Calendar Man, just because he’s really stupid. No, the main reason to go back to the comics is because a movie that truly captures the Batman of the comics still hasn’t been done. As I’ve stated loudly and often, all of the films begat by Tim Burton’s lumbering, hollow 1989 art project were pretty damn lousy. Burton’s two films sacrificed character, story and action for eyebrow furrowing nihilism and bloated production design; Joel Schumacher’s movies were licensing-driven exercises in dayglo camp with a dash of fetishistic homoeroticism. None of them were any good at the time, and to view them in a post-DARK KNIGHT context, they have aged like Burt Ward’s prostate. The next cinematic Batman should be realistic enough to maintain the character’s unique status as the superhero who could exist, but not so realistic that by the third film, he’s damaged his body and his spirit so much that he needs braces to move. 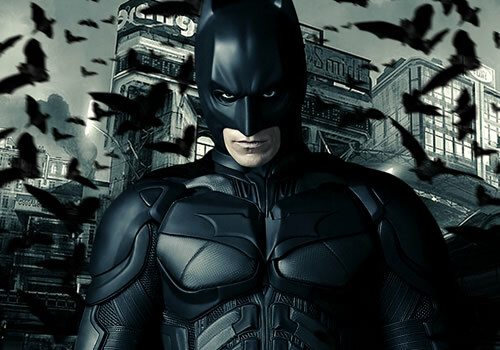 The next Batman should be larger than life, with a wider universe and less armor. Taking nothing away from the breathtaking excitement and existential depth of the DARK KNIGHT trilogy, the next Batman could benefit from being, well, a little more fun. 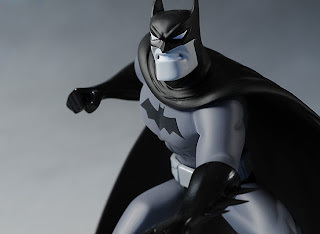 But whomever it is that takes the bat-reins (might I suggest Warner give Bruce Timm a shot? ), I cannot help but feel sorry for them while wishing them all the luck in the world. They have perhaps impossibly enormous shoes to fill. For an even gushier gush over THE DARK KNIGHT from 2008, go here. Great read thank you! Also, Josh Stewart played Deadshot in TDKR. Easy to miss.